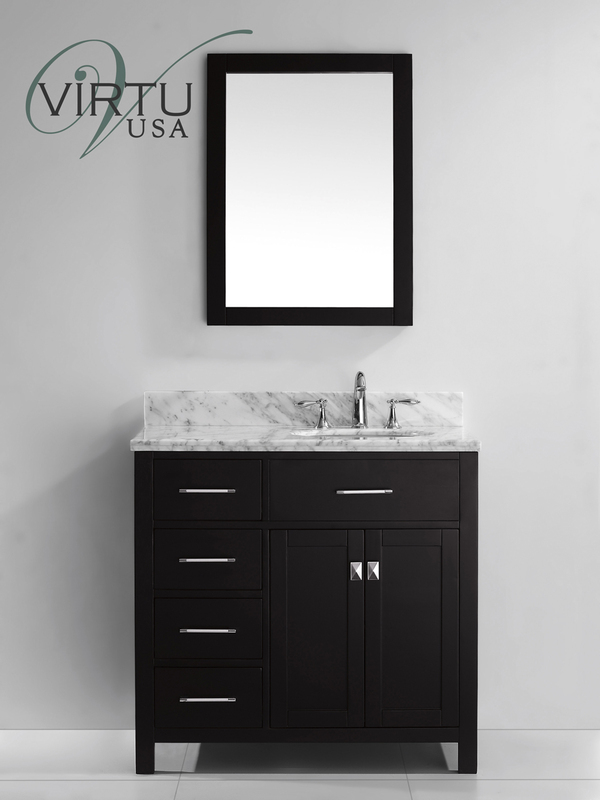 White carrera marble and a solid oak cabinet makes the 36" Caroline Parkway Single Vanity both stylish and durable. 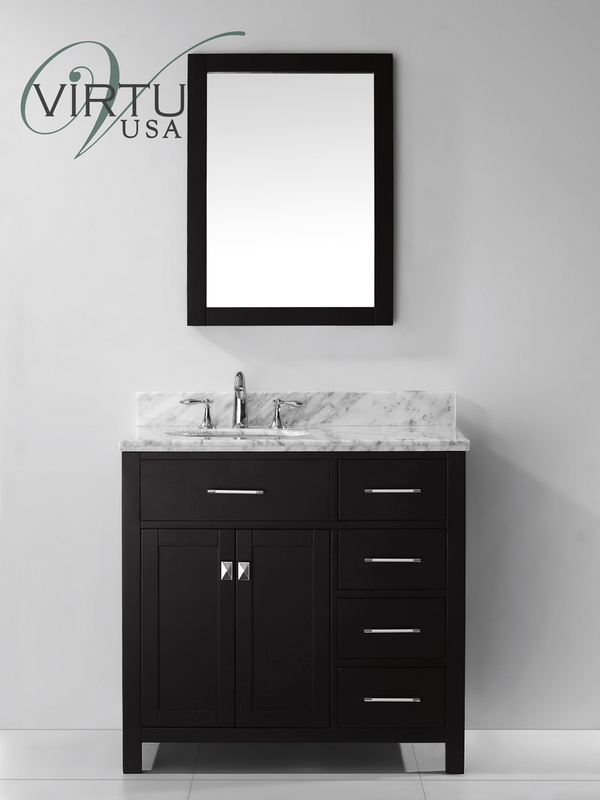 Its sleek design is made stylish with its Espresso finish and metal accent hardware. It offers a double-door cabinet for storage space, along with 4 storage drawers that can be on either the right or left side. Each Caroline Vanity also comes with a matching mirror to give it a complete look that will completely change the look of your bathroom!